As rains have gotten heavier, Minnesota farmers in recent years have been expanding a 150-year-old drainage system, pulling billions of gallons more water off soggy land and letting the state's corn and soybean fields thrive. 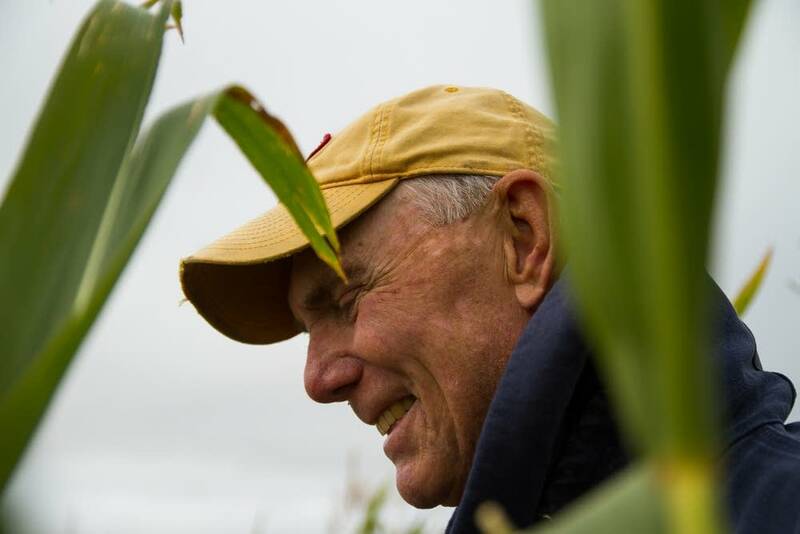 They have laid thousands of additional miles of water-absorbing plastic tubes underneath their fields and, as a result, they have pushed upward the number of bushels per acre of the crops that dominate Minnesota's agricultural landscape. They have held their own and even flourished amid the rains, increased temperatures and greater variability observed in the state. If only adapting to climate change were so simple. In reality, farmers' decisions about how best to adapt have broad implications not only for their own livelihoods, but also for Minnesota's economy and the state's most important natural resource: water. 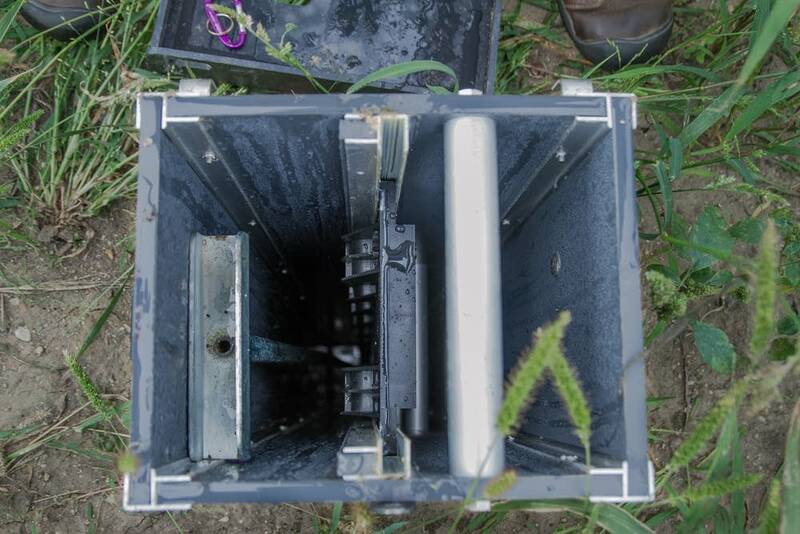 More intense drainage practices are a case in point, because while the popular approach makes crops and soil more resilient in a changed climate, all that extra water draining from fields can cause problems downstream. The tradeoffs are both environmental and economic. Should a farmer change to a more resilient seed variety or different crop, or stick with what's done well in the past? Should a livestock producer invest in new cooling systems to anticipate longer and more intense heat waves, or just cope when it happens, perhaps by sending animals to market early? "A lot of farmers are sitting there thinking, 'How do I manage my risk? How do I hedge my bets?' And it's a really complex equation," said Joshua Stamper, an irrigation specialist with the University of Minnesota Extension who helps farmers calculate whether it makes sense to add irrigation systems to deal with the frequent micro droughts that have been observed in recent years. "There's no right answer. Every situation for every farmer is different," he said. Rising temperatures have had some impact on livestock and crop producers. Heat puts stress on animals, and warmer temperatures translate into a longer growing season that can change which parts of the state are optimal for certain crops. Some farmers are experimenting with different crop rotations as a response, and some livestock producers are looking at cooler concrete floors for pigs or geothermal cooling systems for barns. But changing rainfall patterns are proving to be the bigger climate challenge to farming in the state. Minnesota is wetter than it used to be, and the amount of precipitation falling as heavy storms is up by 37 percent in the past 50 years. Scientists have tied the increases to warming global temperatures. 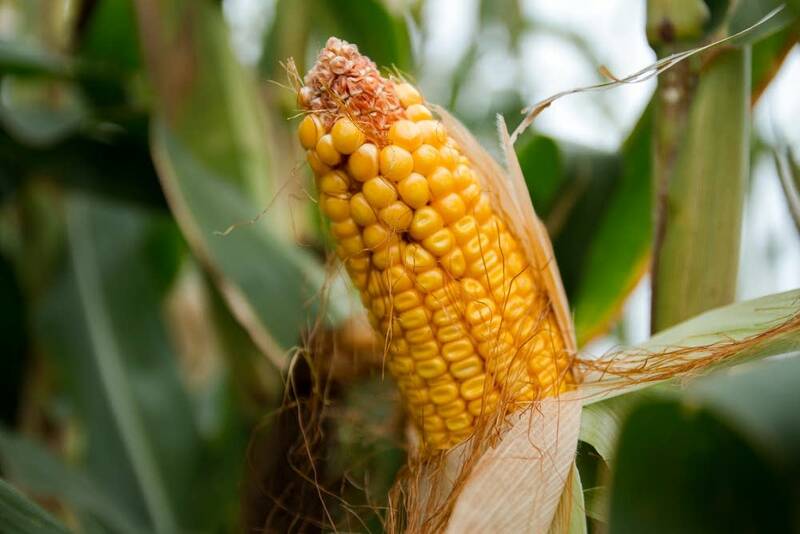 "I don't think it's hard to argue that we're seeing heavier rain events," said Bruce Peterson, who grows corn near Northfield and is president of the Minnesota Corn Growers Association. "It seems like we're getting those 25-year storm events every few years, but at the same time following up that storm event it may not rain for several weeks." 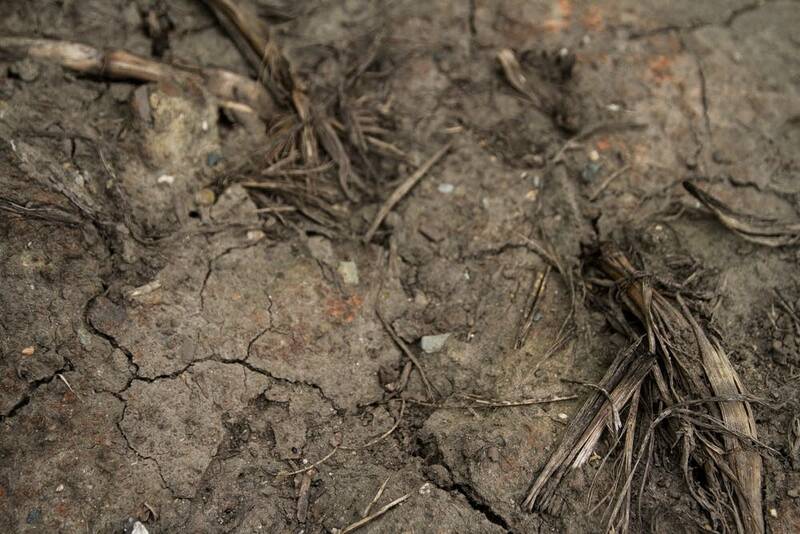 Wet fields make it tough to plant and can stunt a plant's growth, and big storms can carry valuable topsoil away. So since the 1800s, Minnesota farmers have been installing drainage systems to make wet fields more productive. About a quarter of Minnesota's agricultural lands are tiled, and the wetter springs observed in the Midwest in recent years have driven farmers to add even more, said Jerry Hatfield, director of the U.S. Department of Agriculture's Midwest Climate Hub. "It's a very important thing for us to realize that we suffer from too much water in the spring, and we suffer from too little water in the summer," Hatfield said. "We really have the crop at a distinct disadvantage." Some farmers are dealing with it better than others, Hatfield said. For example, some have tried to work on fields that are too wet, which flattens the soil and can cause tractors to get stuck, he said. In most cases, the excess water drained from a field flows through ditches and empties into streams. That's a lot of water going from field to stream more quickly than it used to. "You ultimately have an altered hydrologic system, so you have a much flashier runoff into the rivers and streams, which increases erosion of bluffs, banks, cutting in the stream," said Gaylen Reetz, who oversees watershed management for the Minnesota Pollution Control Agency. For example, flows on the Minnesota River have increased, and erosion has been a major problem. "You've taken this enormously flat area, much of which was disconnected from the river system, and you've drained it," said Peter Wilcock, a professor in watershed science at Utah State University who studies the Minnesota River. "The best evidence available right now is that drainage is playing an important role, particularly in the spring." Wilcock is leading a stakeholder group whose goal is to figure out where and how to retain more water up in the watershed. Erosion is a problem because sediment can fill streams and destroy fish habitat. That sediment also brings the nutrient phosphorus into a body of water. And there's yet another concern: nitrogen, either from fertilizer or natural sources, that makes its way into drain tile water. Forty percent of the state's lakes and rivers are considered impaired, a quarter of them because of excess nutrients. The concerns reach beyond Minnesota because the Mississippi River carries nitrogen to the dead zone — an area in the Gulf of Mexico roughly the size of Connecticut that is so polluted it can't support life. Minnesota is one of many states contributing to the problem. State officials and local watershed districts have been trying to slow that water down. And some farmers have found a way to pitch in while also making their own fields more resilient to a changed climate. Dave Legvold, a Northfield farmer and retired educator, has adopted a controlled drainage system. 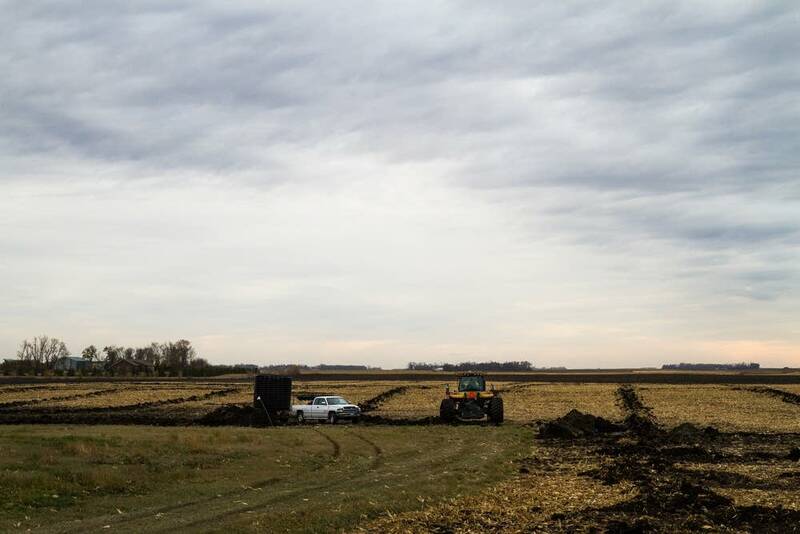 A government grant paid the cost, typically a few thousand dollars, which is a small percentage of the price of installing drainage tile in a field. "You just bump these guys up, or you can push them down," he said, pointing to a metal bar that adjusts an underground box containing a series of dams. They control the water level underneath the cornfield. "When we start to get more precipitation, then the tiles will bring more water to this structure. If I want more water to be held in the soil, to keep nutrients and keep water close by, then I will push them down and I can raise the water level in the soil six inches or I can raise it two feet," he said. With this kind of control, swings from flood to drought become less of a factor. But Legvold, a longtime conservationist, doesn't stop there. "You've drained this field, getting rid of all that pesky water — what happens to the water?" he asked. When Legvold decides to let the water out, it meanders downhill into some wetlands, which help absorb any remaining nutrients and prevent the water from rushing into a stream. Limiting the amount of water being let out of drainage tile is a relatively new strategy in Minnesota. Some farmers like it because it helps them respond to both wet and dry extremes. And those who monitor water quality in the state like it because it can slow down the polluting nutrients. Controlling drainage water and using wetlands aren't the only practices farmers like Legvold are using. Reduced tilling can increase crop residue and boost organic material to help keep soil in place. And cover crops — things like rye grass or oilseed radishes — gobble up unused nutrients and add organic material that helps absorb excess water. But so far, not a lot of farmers are taking those steps, said Reetz of the MPCA. "Through time, we've really focused on moving water off the land, and now it's time we start thinking about how we retain it on the land and manage it and look at it as a resource to be managed — not just a nuisance to be pushed downstream," he said. Hatfield said farmers are starting to do that in small numbers. For instance, some are pumping tile water into holding ponds and are using it to irrigate fields during dry summers. Others are turning to reduced or no-till — about a quarter of Minnesota's cropland now gets less plowing, according to the latest Census of Agriculture. 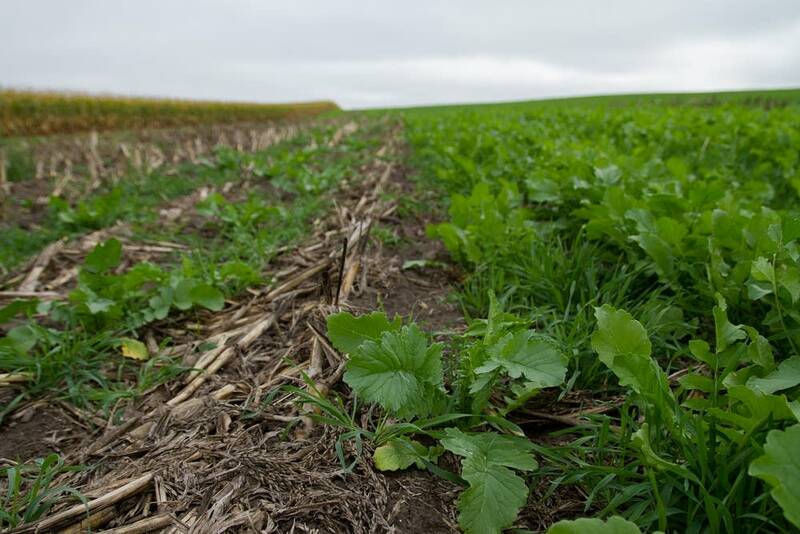 Planting cover crops alongside row crops just hasn't yet taken off, the USDA's Hatfield said, estimating that only 2 percent of Midwest cropland now uses them. "It's this miniscule amount compared to what we need to have in terms of protecting our soil," he said. There are many reasons farmers haven't been quicker to plant them. In western Minnesota, they won't tolerate the herbicide farmers have been using lately to get rid of noxious weeds threatening corn and soybean crops, said Jon Roschlein, administrator of the Bois de Sioux Watershed District that covers parts of six counties. The watershed is one of the few in the state that requires permits for adding or changing drainage systems, and its figures show drainage has boomed. "In 2000, we had 65 miles of tile permitted," Roschlein said. "By 2009, 740.9. There was a little bit of a drop and then from there she went up into the thousands. "They're saying, 'Jeepers ... how come we're getting such heavy rainstorms?'" he said, adding that three- or four-inch rains seem much more common. "Everybody's trying to maintain their drainage out there as best they can. If you don't, it's just one more thing that counts against you in trying to make a living operating the farm." Roschlein said while sediment loads are a concern for area streams and rivers, pollution isn't the primary reason the watershed keeps track of agricultural drainage. Heavier rain combined with more drainage can cause flooding in towns like Breckinridge, which sits at the headwaters of the Red River and smack in the middle of farm country. Floods hit many western Minnesota communities hard in 1997 and 2009. 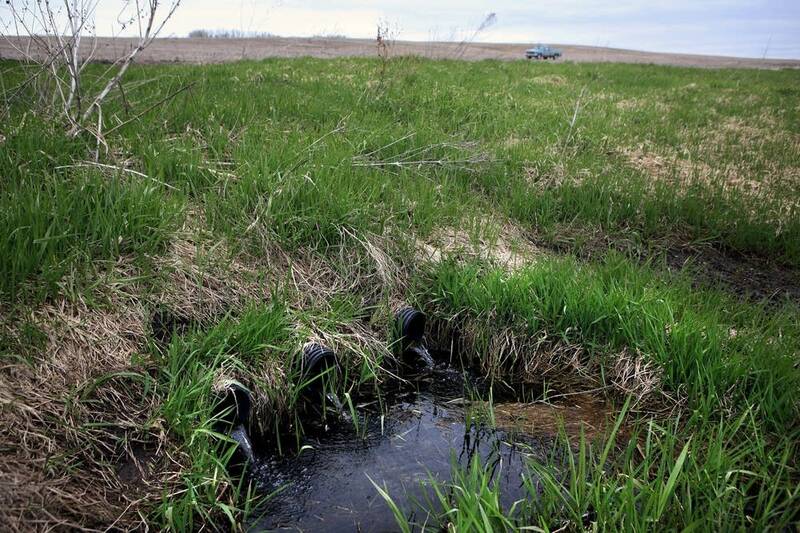 "We try to regulate what they do with tile drainage, not to keep them from doing it, but we try to do it in such a way that they don't just move the problem from their location to somebody downstream," he said.